Contestants prepare to go on stage during the Miss International Queen 2015 transgender/transsexual beauty pageant in Pattaya, Thailand (November 6, 2015). Thailand passed its first equality law in 2015, but still has a long way to go to protect the rights of the community. Portrait of Pet. Photo by Walter Astrada. The Filipino teacher says that she presented all her legal papers when she applied for employment at the school. She continues to be identified as a man, thanks to restrictions on changing documents in her country of origin, the Philippines. After studying her case, the human resources department at the school offered her another job in the office, without any contact with students. “I asked if there was any problem with it [being transgender], and they said they were looking for a role model for the kids,” explains Pet. Currently, the majority of transgender women work in the beauty industry, entertainment, or cabaret shows and it is difficult for them to start other careers in Thailand. “Employers believe that trans people, we are more emotional, less responsible, and respected. If we want to be teachers, the school will discuss about it because children might want to be like her [or him]. In the job market we are also the last to be promoted,” explains Wannapong Yodmuang, who works at the the Rainbow Sky Association supporting the rights of the LGBTI community. Another factor complicating transgender employment is the fact that many jobs and study centers require uniforms. “In the university we cannot dress according to our identity and many trans people choose not to study. If we chose a degree in medicine, we should dress as a man [or a woman] for six years and subsequently at work,” adds Yodmuang. By and large, Thailand’s overwhelmingly Buddhist society tolerates transgender people, but many don’t accept them. According to the Buddhist principle of karma, transgender people are believed to have been adulterers in their previous lives and so are receiving the punishment in this life of being trapped in a body that is not theirs. Change may be coming. For more than a year, the Thai government has been studying the possibility of approving a law to recognize transgender individuals. However, the process has been slowed due to lack of consensus among the drafting committee, which debated whether transgender people “can choose male or female as they prefer or we set up a third category [third gender],” explains Cheera Thongkrajai, social development officer in the Ministry of Social Development and Human Security (MSDHS). Kyle Knight, a researcher in the LGBTI rights program at Human Rights Watch (HRW) believes that Thailand has seen sparks of progress on rights in recent years. For example, “persons of diverse sexualities” were recognized as needing assistance in the Social Welfare Promotion Act in 2012. Most notably, Thailand’s Gender Equality Act came into effect in September 2015, signaling an inclusive future for the country’s legal treatment of LGBTI people. It is the first national legislation in Southeast Asia to specifically protect against discrimination on the grounds of gender expression. But in the opinion of the activist Khangpiboon, the government does not do enough to promote the rights of LGBTI community, allocating only a small budget to its efforts. She also believes that the new equality law is inconclusive. For example, section 17 says any act by the public and private sector that concerns the freedom, security, and protection of others, or in accordance with the rule of religion or national security, would not be considered an act of discrimination toward the LGBTI community. This clause, says Khangpiboon, continues to ignore equal access to employment and can be used by employers in virtually any circumstances, leaving the community unprotected. On November 26, Bangkok will host the Pride Business Workplace conference, organized by ILGA, the international LGBTI association, and its local partners. The conference will discuss the obstacles to employment faced by the LGBTI community in Hong Kong and Southeast Asia. 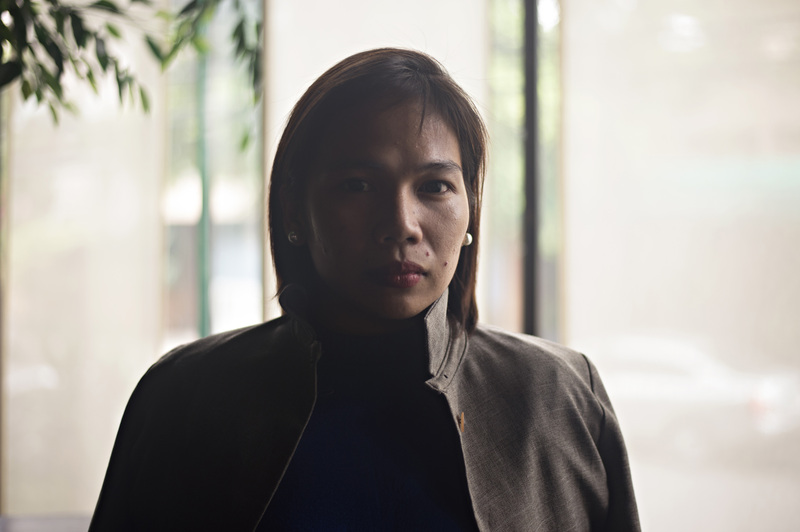 Pet, the Filipino teacher who lost her job in Thailand due to her gender identity, says that she had not previously felt discriminated against at work. “I’ve lived my whole life without having to tell people what I am. The jobs I had in the past were in line with my qualifications. I’m not used to this, ” she says. After her bad experience in Thailand, Pet is now looking for a new opportunity in Vietnam as a storyteller. The teacher is currently writing her first story for kids. The story, titled “Beki and I” (“beki” is slang for “gay” in the Philippines), is about a child who idolizes a neighbor for her dancing and singing. The child wants to be like the woman, but she doesn’t know that her idol is transgender. “In the eyes of the kids there is not judgment and discrimination. What you see is what you get. That’s the kids. If they see you as colorful, you are colorful. If they see you as beautiful, you are beautiful. If you are a teacher and you are a woman, you are a woman,” Pet says. Ana Salvá is a freelance journalist based in Southeast Asia.